Liang Chen founded Stellar Services more than 20 years ago and, since then, has been instrumental in transforming the business into a thriving Information Technology services firm that serves federal, state and local government clients, as well as commercial and non-profit clients, located throughout the US. Liang has been at the helm of Stellar Services since the company's founding in 1993. He understands his clients' IT infrastructure challenges and, in response, formed and leads a team that has developed a broad range of superior IT Infrastructure Support, Program Management, Enterprise Content Management, and Systems Integration services and solutions. A graduate of prestigious Shanghai Jiaotong University, Liang also holds a Masters in Operations Research from Western Michigan University. Before starting Stellar, he worked at Louis Berger International, Inc., and the Ebasco Division of Raytheon Engineering and Constructors, Inc. He became experienced at these companies in implementing project control and management systems, and earned a reputation as an employee with an acute business sense and a timely delivery of projects within budget. As the President of Stellar Services, Liang manages all activities from the headquarters offices in New York City. As a seasoned Systems Architect, Liang has gained extensive experience with system master planning, technical design, and project management for both the public and private sectors. Liang is proud of Stellar’s credentials, including its rapid expansion to 100+ employees today and for being nominated 2009’s IEEE Corporate Innovation Award recipient. Another major point of pride for the company is the development of OneView™, its dashboard solution that provides crucial project and business intelligence and reflects on-the-job performance measurements for organizations with hundreds of thousands of workers. In his spare time, Liang enjoys having fun with his two young sons and trying his hand at a good card game. 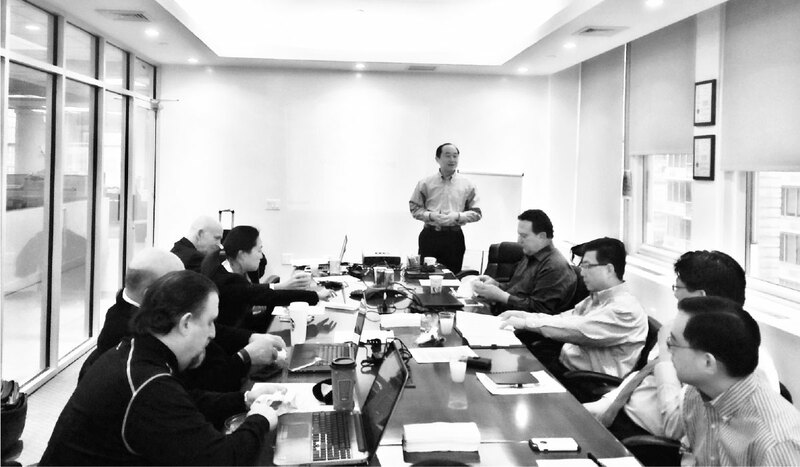 Han Lim has close to thirty years of business experience, 17 of which have been focused specifically on Project Management. He possesses vast experience in the realms of city, state and federal government IT projects, as well as in the commercial projects sector. Han has keen business analysis skills, vast technical knowledge and superior man-management skills. Since joining Stellar Services in 2001, Han has been responsible for managing the operational functions and business development areas of Stellar’s Business Technologies division. He maintains a close and steadfast relationship with clients, which accounts, in part, for Stellar’s large volume of repeat business. Han acts as the Project Manager or Project Principle for all projects that fall under his division. Prior to joining Stellar, Han was a Plant Manager tasked with the oversight of a 300-staff manufacturing facility for a New York-based industrial company. He also served as a Project Manager for two separate start-up firms, for which – among other tasks - he put in place the management teams, production processes and training programs. Han earned a Master's and Bachelor's degree in Mechanical Engineering at North Dakota State University, and an Associate's Degree in Mechanical Engineering at Kuantan Polytechnic in Malaysia. 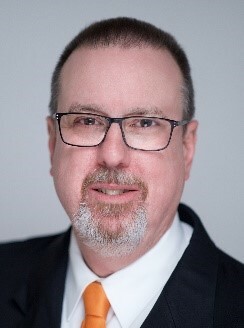 Chuck Romoser is a visionary and goal-oriented Project Control Specialist with demonstrated experience in planning, developing and implementing leading edge solutions to address business opportunities. He has lead computer operations teams increasing output by 200%, and has implemented Systems development lifecycle within infrastructure teams improving the coordination and change management. Also, he has Led Enterprise Application implementation for Oracle and Primavera software packages. He is adept at crisis management, troubleshooting, problem-solving and negating. In addition, Chuck is experienced in joint application development, capacity planning, project and resource management, and cross-functional team training. Vincent Huang is an information systems and project controls professional, with expertise knowledge in planning, designing, and implementing solutions in diversified industries. Throughout his time at Stellar, Vincent has helped serve numerous industries and government entities through the delivering of business solutions and management information system services. Vincent has also helped establish company standards through his unique solution delivering process procedures, and by maintaining close relationships with clients. Aside from Stellar, Vincent was a Vice President of project controls at Parson’s Corporate and International Limited. There, he oversaw and coordinated all activities in the Project Control Department, including the management of the project control staff, the reviewing of corporate projects and executive proposals, and established standards and procedures of project control processes. Vincent graduated the Tatung Institute of Technology in Taiwan with a Bachelor’s Degree in Science and Applied Mathematics, and graduated Long Island University in New York with a Masters in Science and Management Information Systems. James (Jim) Hall is a seasoned information technology professional who routinely takes on challenging and mission-critical projects for a wide variety of customers. In the past three decades, Jim has led the successful completion of more than 200 projects for over 70 customers in the U.S., Canada, and the Middle East. During his career, Jim has taken on a wide variety of functions including programmer, solution architect, quality lead, project manager, production manager, and business development. He now focuses on working with customers in the northeastern U.S. who are implementing custom technology solutions to address and improve pressing business needs. Jim “cut his teeth” in surveying, photogrammetry and geographic information systems (GIS), but now delivers a much broader range of solutions. He manages corporate relationships with strategic partners including Esri, SAS, and Infogroup. Jim is a strong advocate for the use of industry best practice whenever possible, and relevant. He is a certified Project Management Professional (PMP), a Geographic Information Systems Professional (GISP), a Certified ScrumMaster (CSM) and a FEMA-certified Professional Continuity Professional (PCP). Chris Donohue is responsible for the Stellar Project Management business unit. Chris’ background includes Project Management processes, project controls and scheduling, Earned-Value Management Systems, and project management systems integrations. He is an excellent leader and decision-maker and develops teams of professionals who help our clients succeed in their project management goals. He oversees the Stellar project management projects and ensures that there is open communication between our client’s executives and the Stellar executive team to ensure the success of a project. Before joining Stellar, Chris was the Vice President of North America Operations and Business Development of the ARES Project Management, LLC, the makers of the ARES PRISM project management software. Over the course of his 17 years with ARES, he has developed a wide range of experience working in both private and public industries and supporting large government contracts in both the US and UK. In the private sector, he has coached both Owners and Major Contractors in the Infrastructure, Mining, Power Generation, Oil, and Gas Markets in project management systems and process re-engineering. Prior to managing North American operations for ARES, he was the Director of Europe and Middle East operations, based in Manchester, England with responsibility of developing and supporting business in those regions. With his multi-culture background with specific focus on project management systems and capabilities, he has extensive experience to offer to our clients as they implement or enhance their own project management systems and capabilities. Chris graduated California State University, Chico with a Bachelor’s of Science degree in Construction Management. Anna Hu is responsible for directing Stellar Services’ business growth in the areas of Project and Portfolio Management, ERP system integration and Enterprise Content Management systems, while maintaining the business’ emphasis and focus on delivery excellence and client satisfaction throughout the organization. Anna brings with her more than 16 years of technical expertise in a variety of areas, including business requirement evaluation, business process reengineering, infrastructure design, contract and license negotiation, vendor evaluation and purchasing, cost reduction and outsourcing, and software development. She serves as an executive sponsor and senior project manager for an array of key initiatives, including those with major city, state and federal agencies. Prior to joining Stellar, Anna was a senior project manager for PeopleSoft ERP implementations at Scholastic, Inc., Gruntal Inc. and Merrill Lynch, where she focused on team building, system deployment, integration, security administration, migration and change control management, customization and enterprise reporting. Anna graduated with an Executive Master in Business Administration degree from Columbia University; a Master of Science degree in Computer Science from Long Island University; and a Bachelor of Science degree in Information Systems from the East China Institute of Technology. When not travelling from one end of the globe to the other, Anna enjoys spending time with her family in New York City. Linda Ye is a highly analytical leader with exceptional focus on corporate administration, implementing corporate policies, practices, processes and procedures. She has a strong understanding on business strategies and an entrepreneurial spirit that lead toward the achievement of mission, strategy, goals and objectives. With essential people management skills in resource planning, personnel issues, employee retention and workforce environment development, Linda manages both the day-to-day tactical needs and design and execute the people strategy to ensure business growth. She possesses core recruiting expertise, hiring and motivating talent, managing the career advance of the staff proactively and enthusiastically. Heavily involved in business development and proposal writing, Linda has hands-on experience and sharp-witted assessment in identifying and analyzing RFPs and generating winning strategic responses. Linda has well rounded background in multiple phases of business with creative problem solving skills and she works effectively and efficiently with all levels. Linda is currently providing management and leadership for the administrative and corporate functions of the company, including performance management, policy and program development, employee relations, corporate benefits and procedures, regulation compliance, as well as business development and market growth and services support. Linda has an MBA degree and an MS degree in Statistics.